NEXT IOWA MEETING: Saturday May 4th in Des Moines. Dr. George P. Garmany Jr. the national Mayflower Society Governor General will be our special guest and speaker. At the Machine Shed Restaurant, 11151 Hickman Road, Urbandale, IA. Go EAST on the Hickman Road exit of I-80/35 on the west side of the Des Moines Metro. Then the first driveway north. Dr. George P. Garmany, Jr., from Boulder, Colorado, was elected to serve as Governor General of the General Society of Mayflower Descendants in 2017. He has been a member of the Colorado Society since 1994, serving multiple offices there, including two terms as Governor. Prior offices in the General Society include four terms as Surgeon General and one term as Assistant Governor General, with numerous extra appointments during that time. Most recently he served three years chairing the “2020 Committee” which engaged in planning for the activities for the General Society to commemorate the 400th anniversary of the Mayflower voyage. George earned both his BA and MD degrees at the University of Virginia. He moved to Colorado for Residency training and practiced Neurology in Boulder for thirty-eight years. He is a Fellow of the American Academy of Neurology, and his long-term commitment to teaching resulted in an appointment as Clinical Professor of Neurology at the University of Colorado. He is a former President of the United Medical Staff of Boulder and also of the Colorado Society of Clinical Neurologists. In recognition for his long-term work with the National Multiple Sclerosis Society, he received the prestigious Harold E. Williamson Award established by the COPIC Foundation to honor a physician who has volunteered extensive services in his or her community in Colorado. George belongs to the Boulder Rotary Club and has served as a Scoutmaster. He continues to work with the Boy Scouts as a Board Member for the Longs Peak Council. Activities with the Scouts have allowed George and his family to enjoy the wonderful outdoors in Colorado and other nearby states. George’s wife, Beverly, is a member of the Arapahoe Chapter of the DAR in Boulder, and George also belongs to the Society of the Cincinnati in the state of Connecticut. 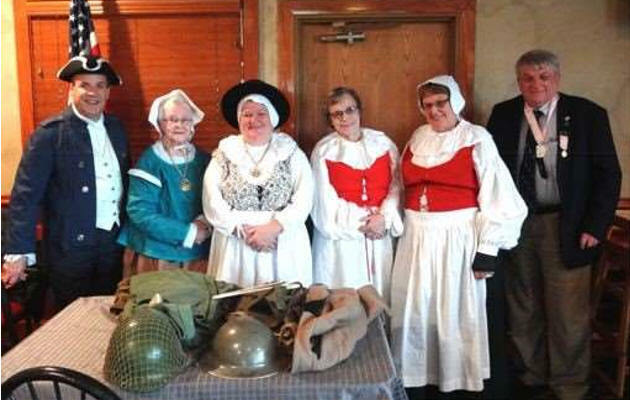 They both share a deep love of American History and are looking forward to working with the Mayflower Society at this special time in preparation for the 400th anniversary of the Mayflower voyage. George belongs to the Boulder Rotary Club and has served as a Scoutmaster. He continues to work with the Boy Scouts as a Board Member for the Longs Peak Council. Activities with the Scouts have allowed George and his family to enjoy the wonderful outdoors in Colorado and other nearby states. George’s wife, Beverly, is a member of the Arapahoe Chapter of the DAR in Boulder, and George also belongs to the Society of the Cincinnati in the state of Connecticut. 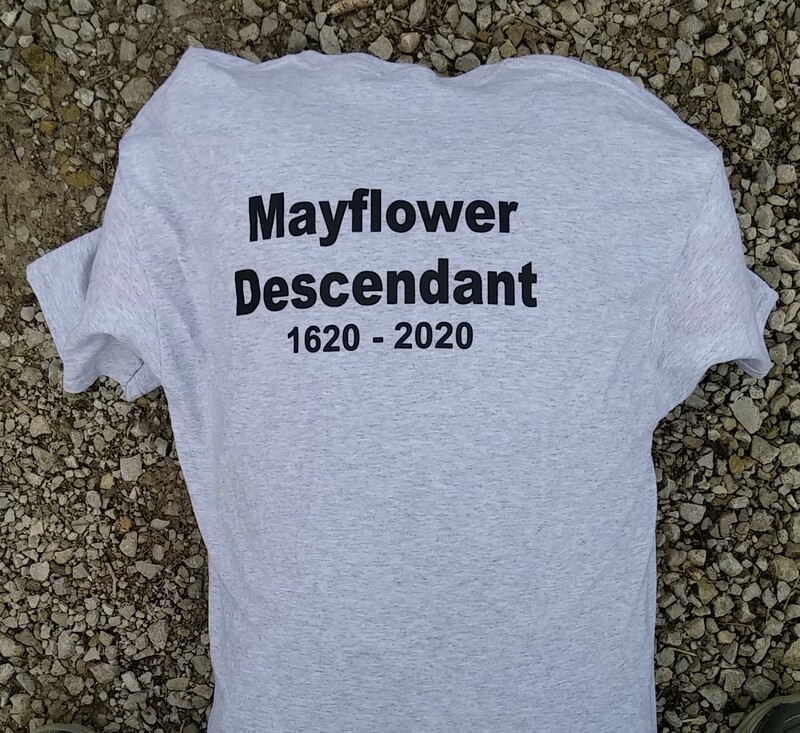 They both share a deep love of American History and are looking forward to working with the Mayflower Society at this special time in preparation for the 400th anniversary of the Mayflower voyage. MAYFLOWER DESCENDANTS JOIN WAMPANOAG DESCENDANTS TO ASK SUPPORT FROM CONGRESS FOR WAMPANOAG TRIBAL LANDS. Agreement with Massasoit and the Wampanoag tribe that allowed them to live together and protect each other. 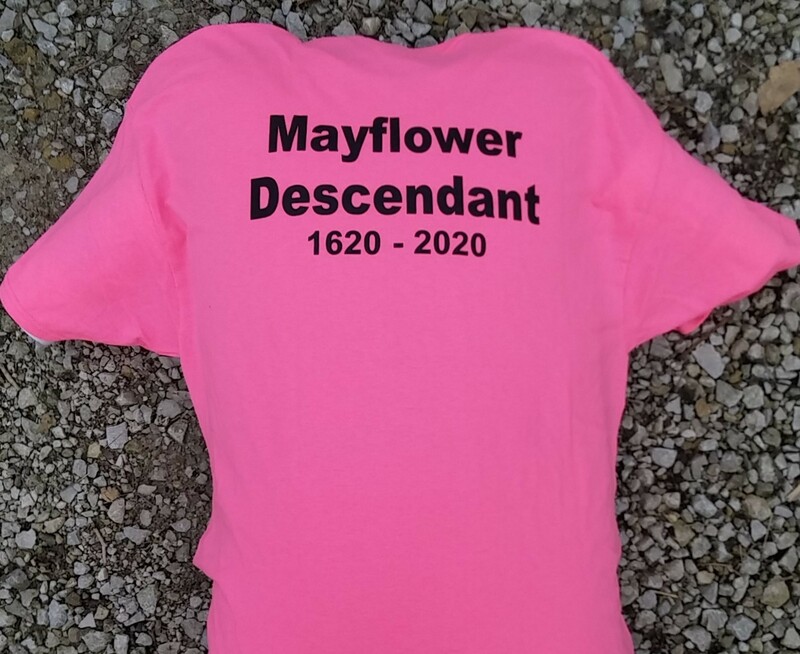 The Mayflower Society voted on Dec. 8, 2018 to contact legislators and urge them to preserve the tribes reservation land in Mashpee and Taunton. This land today makes up only a fraction of the reservation once occupied by the tribe, which was more than 12,000 years. It wasn't until 2007 that the Wampanoag were re-acknowledged as a federally recognized tribe. A formal letter of support was drafted and sent to members of Congress. Profit from these shirts goes to the Scholarship Fund. 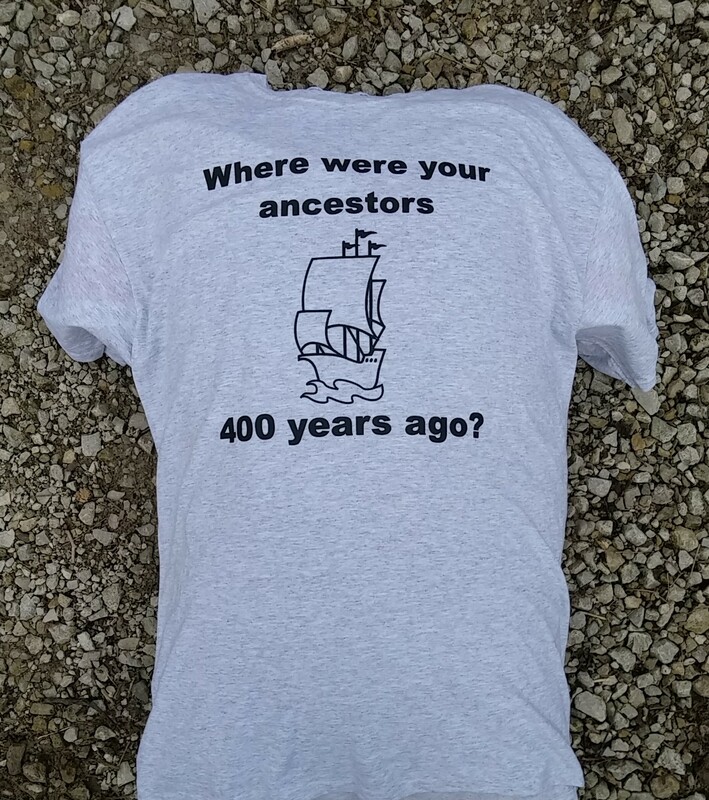 Orders are still being taken for these tee shirts or hoodies to be delivered at the Annual Meeting May 5, 2018. Mailing available. 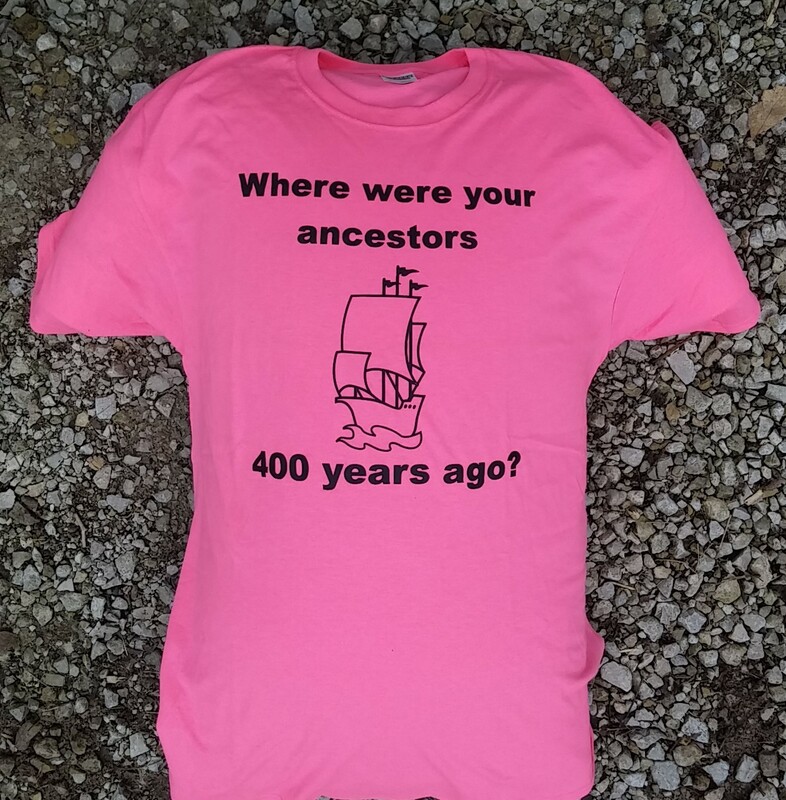 They come in Mayflower Hot Pink or Gray with black lettering. Payment is requested at time of ordering. Deputy Governor General (DGG)- Daniel F. Wiechmann, Jr.
Assistant General (AG)- Kenneth R. Callison, Sr.